Ah, the world of paper. You might think very little is involved in the life of a Paper Merchant but then, you might be misinformed. Although we don’t make the paper here at Clampitt every day, we do get to have our own fun. 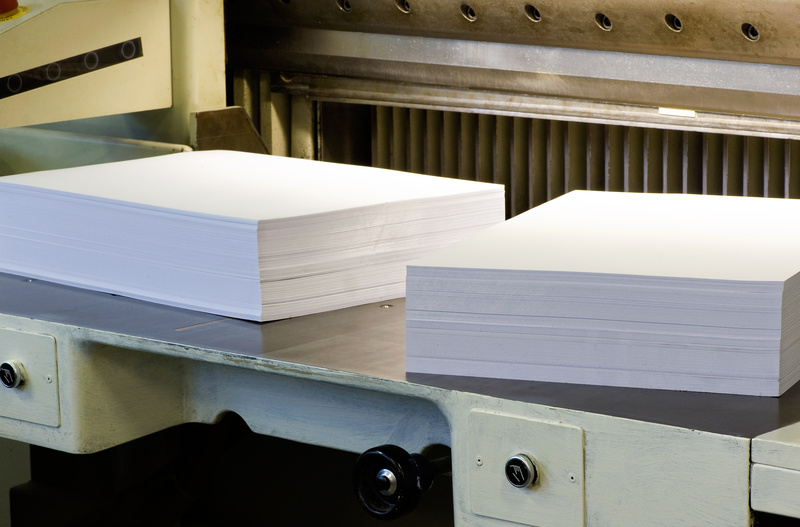 We have over 25 Paper Mill Partners (the places that manufacture the paper – all over the world but also in the U.S.) that we buy from every single day here at Clampitt. Trucks come in on a regular basis bringing giant rolls (which we then convert, check that page out when you can) skids full of parent size sheets (come by Paper School to learn about that), cartons full of text and cover and digital stocks. We also bring in oodles of envelopes to our stores on a regular basis. We then store this inventory in one of our seven warehouse locations or our 14 FasClampitt Stores. We also take a small portion of each of the stocks to put in our many Sample Rooms for testing purposes, that’s for you sassy and smart customers who know to test that pretty paper first. 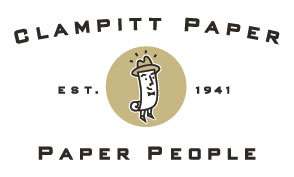 If you are looking to purchase paper, head over to shop.clampitt.com and buy away! If you want to learn more about paper or just want to come by and say hello to your local Paper People, just give us a call! We’d love to meet you and talk paper, it’s kind of our thing. 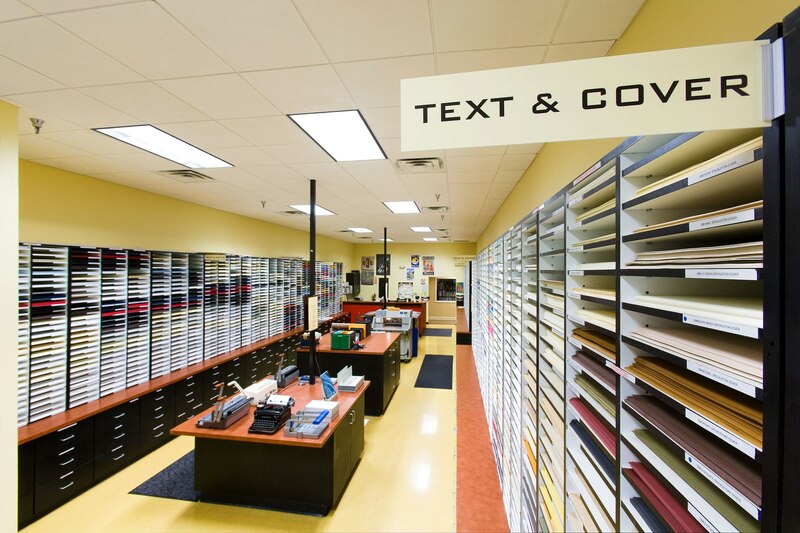 Our Specialty and a part of our Text & Cover section of our Sample Room – we told you, OODLES. One of our guillotine cutters in our Converting Department – we can cut paper to any size to fit your needs!